Special Features Dual mechanical shutter system to help prevent insertion of foreign objects. Auto-ground clip assures positive ground. 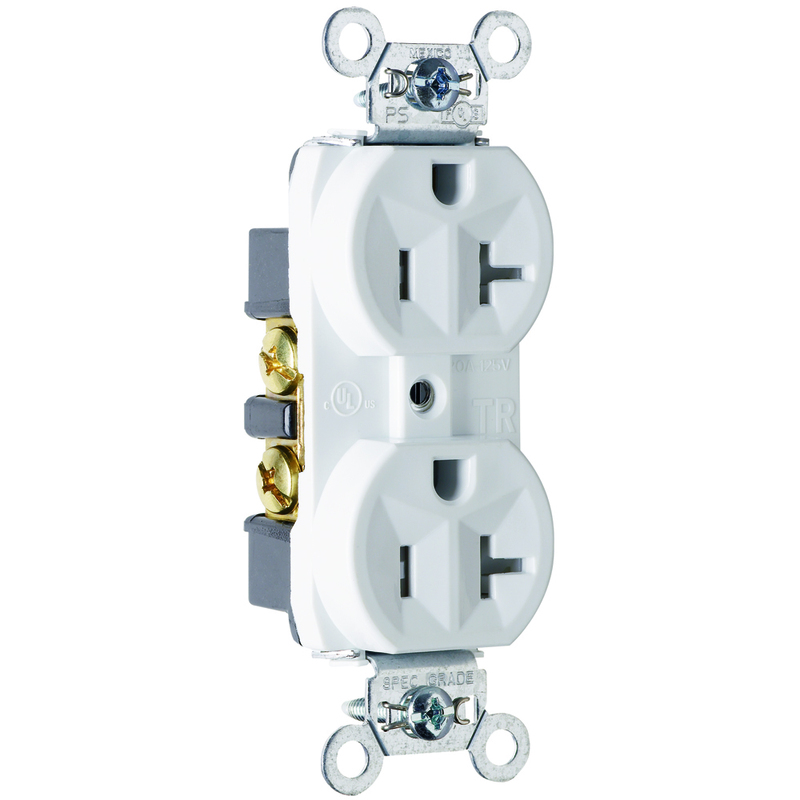 Easily accessed break-off line-contact connecting tab for fast and easy split-circuit wiring. Backed-out tri-drive brass terminal screws for faster installation. Internal screw-pressure-plate back and side wire capability. Two back wire holes for additional wiring flexibility. Corrosion-resistant plated steel strap is locked in to face and back body to resist pulling away from the face/body assembly. .032 inch thick brass triple-wipe power contacts. Two drive screws anchor steel strap to back body and face where abrupt removal torque is greatest. Wattage Electrical power is expressed in Amps and Volts.